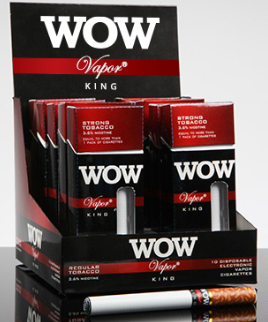 The disposable electronic cigarette is how most people are introduced to the world of e-cigs. Disposable e-cigs are probably the most common and widely available type of electronic cigarette. They can be purchased in virtually any gas station, convenience store or bar. Of course they are also available online. 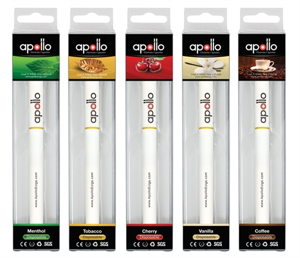 Disposable electronic cigarettes are the easiest way to vape. You don’t have to assemble the e-cig, there is none of the hassle that comes with refilling e-liquid, no mess, and once you are finished you simply throw it away. The disposable e-cig is truly ready to vape straight out of the packaging. This is why disposable e-cigs are the entry point for many smokers. There are many high quality disposable electronic cigarettes that rival the best rechargeable e-cigs. If you are a smoker looking to quit, you might want to test the e-cig waters with a disposable e-cig. 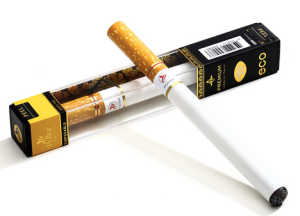 You will probably want a disposable ecig that approximates the feeling of smoking a real cigarette. The first time you try a disposable e-cig you will probably be a little bit disappointed that it doesn’t taste exactly like a real cigarette. But don’t be discouraged. You need to realize that e-cigs are different from traditional cigarettes. 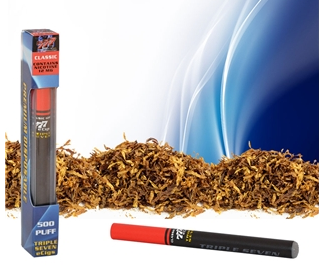 The best disposable e-cigs will give you a lungful of thick, delicious vapor that is very close to the experience of smoking real cigarettes. And the important thing to remember is you are definitely getting nicotine (unless you go with a disposable e-cig that has zero nicotine). So if you can use the disposable e-cig for a short time, and not smoke any cigarettes, you’re already on your way to quitting smoking! When I started the process of quitting smoking, I didn’t do it cold turkey. I bought a few high quality disposable e-cigs and would set a goal for myself: instead of smoking 20 cigarettes today, I’ll smoke 15 and use my e-cig the rest of the time. Then I would cut the number of cigarettes to 10 and use my disposable e-cigs more. Then, eventually, I realized I preferred the different flavor options of the disposable e-cigs, and didn’t like smelling like cigarette smoke, so I quit completely. Disposable e-cigs are great for beginner vapers for a few reasons. They are very cheap so you can try a few different brands and flavors until you find the perfect one for you. They are very small so you can easily carry them around in your pocket and vape them almost anywhere. 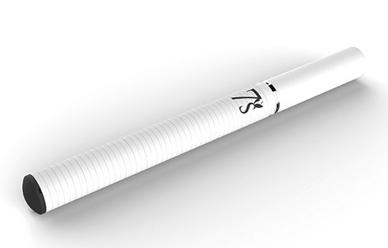 The quality of disposable e-cigs is increasing and they are competing with the more advanced rechargeable e-cigs. 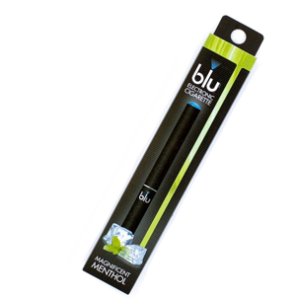 You can also check out some of the vape pens we have reviewed and recommend. check out the Dial-A-Volt or Vapor Zeus from Vapor4Life. and feels like a real tobacco cigarette, making it comfortable and easy to use for any smoker. 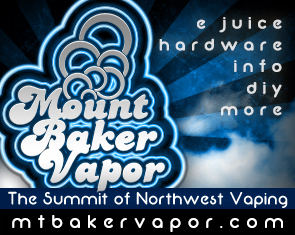 Mount Baker Vapor is known for their incredible e-liquids, but they offer so much more. This is one of our favorite one stop shops for everything related to vaping. Everything they carry is of excellent quality – even the economically priced items. It doesn’t matter if you are a beginner or an advanced vapor, you can find whatever you need at Mt. Baker Vapor. They have starter kits, PVs and Mods, e-liquid, cartomizers, accessories, DIY supplies and more. Check ’em out, you won’t be disappointed. This is the largest and most popular online vape shop. You should be able to find absolutely anything you need here no matter what it is from basic starter kits to rare drip tips. 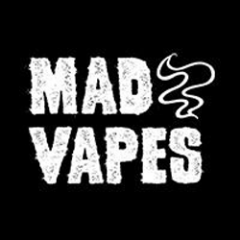 Madvapes was started in July 2009 in Huntersville, NC. Beginning with a humble start from a home office, Madvapes quickly expanded from home office to garage to rented warehouse space and recently to a 10,000 square foot warehouse. They got what you need! better alternative to smoking traditional cigarettes. No Odor, No Tar, No Tobacco. ecig comes in 1.8% nicotine strength. Disposable is FREE. You pay $6.95 for shipping. advanced kits. However, if you are a beginner, you will be very pleased with the 7’s disposables. 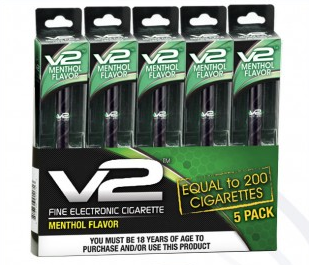 Menthol, Blueberry, Vanilla and Apple and contain 18mg of nicotine. Citrus Cooler, Georgia Peach, Grape Zinger, Melon Paradise, Very Berry and Raging Sevens.